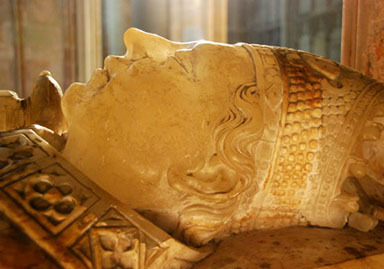 We offer top-of-the-range historical tours centred on the Cathars of the Languedoc, all conducted in English, on location in the Pays Cathare "Cathar Country" in Southern France. 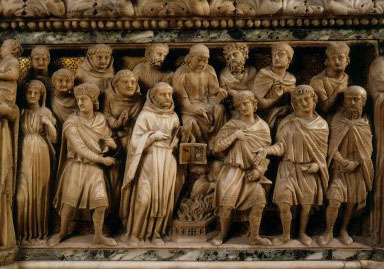 The Cathar movement and the Albigensian Crusade against the Cathars were two of the most important events in European history - with many, often surprising, world-wide resonances even today, eight centuries later. Our tours cover historical information in much greater breadth and depth than any other tour, and are founded on primary historical sources. 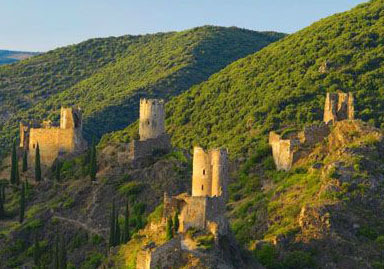 Tours include guided visits to "Cathar Castles" and other Cathar related sites, informal talks on Catharism, Cathar beliefs and practices, the concept of heresy, Medieval warfare and the Albigensian Crusade, along with the history of the "Pays Cathare" - Cathar Country. 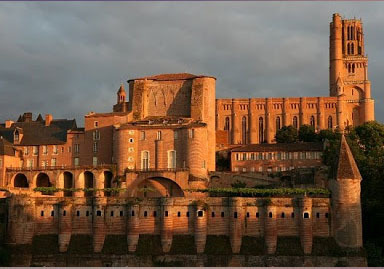 Talks also cover the ancient culture of the area including the role of the medieval Counts of Toulouse and the medieval Inquisition. You can also learn about the local language, Occitan, the first post-classical literary language of Europe - the language of the troubadours. We emphatically do not offer the standard tourist experience, so there are no large groups, no standard scripts, no waffle or pseudo-history, no cutting corners, and no evasion of penetrating questions. Information provided includes historical and cultural background, illustrations, maps and timelines - even an introduction to the esoteric world of Gnostic Dualism. 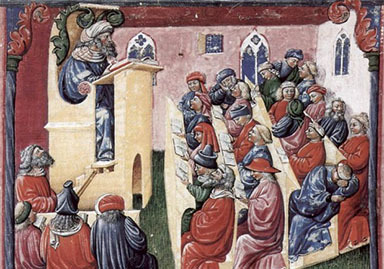 You will learn some medieval essentials: how to spot a medieval Cathar, how to besiege a Medieval Castle, and how to burn a heretic. 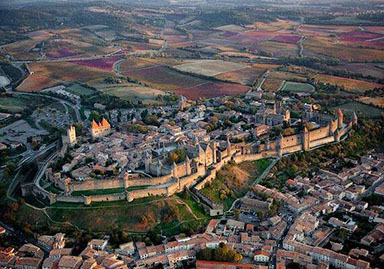 Escorted visits include trips to key historic locations such as Carcassonne and Montsegur. While we endeavor to ensure strict historical accuracy of the information provided, we appreciate that this is a vacation in the South of France, rather than a university course. - so no one will mind if you decide to spend some of your holiday sitting in the Languedoc sun and drinking some of the famous Languedoc wines.